Classically trained vocalist and multi-instrumentalist Shara Worden is the sparkling, singular center to My Brightest Diamond. Combining her love for classical giants like Mozart and Claude Debussy with modern acts from Antony & The Johnsons to trip-hopper Tricky, Worden recruits a long list of musicians to create dramatic waves of guitars, woodwinds, violins, cellos, bass, drums, harps and horns to underlie her quirky coos and powerhouse vocals. 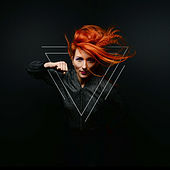 After earning a degree in opera from the University of North Texas, Worden moved to New York City, where she formed the band Awry. After two albums, she split off on her own. Shortly after, she met singer-songwriter Sufjan Stevens, who recruited her to tour with him as his Illinoisemakers cheerleading captain. 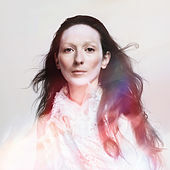 Worden soon returned to her aspiring project, My Brightest Diamond, and in 2006 released debut album Bring Me The Workhouse. The LP subsequently got the remix treatment with Tear It Down in 2007. A Thousand Shark's Teeth followed in 2008, featuring a heavier dependency on classical strings, moody soundscapes and lustrous arrangements.